Wisdom keepers like the late Ogimaamakoons, Ella Dawn Green, generously provided sacred knowledge to bolster the Annishinaabe certainty that human beings are more than just consumers of the earth’s resources. 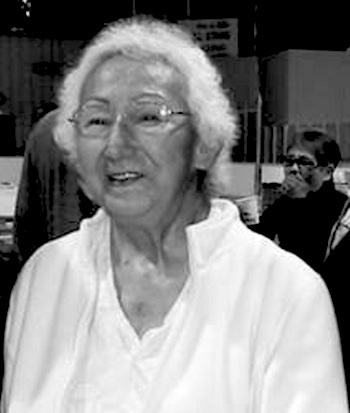 Green joined other Iskatewizaagegan (Shoal Lake) Elders to speak of Gimiinigoowizimin – a term that roughly means “keeper of the gifts” – in a journal of Ethnobiology published in 2005. They conveyed the idea that the gifts given for survival are to be, in turn, cared for as a moral responsibility. This requires establishing a relationship with other beings in the Creator’s garden, she said, and being aware that mistreating them can lead to unwelcome incidents, such as an illness or misfortune in one’s own life path. In the late 1990’s and into 2000, Green was active in naming and explaining uses of herbal medicines and plants for the University of Manitoba. Just as her relatives had shown her plants and their uses, she shared her knowledge so it could be written down and passed on generation to generation. As a seventh degree Midewiwin Faith Keeper, Green was relied upon to ensure the Annishinaabe language in such documents was correct. She was a strong advocate for culture and language, teaching both to youth whenever she had the opportunity. “She became really active in the sacred Mide ceremonies during the early ‘60’s because one of her children was very ill and had to be initiated in the midewin lodge,” daughter Vivian Mandamin explained. “It takes years of hard work and patience to reach your levels; you don’t gain it every season. Spirits would come to her to tell her it was time to work on her next level, and each one sometimes took two to three years. Regional Chief Isadore Day attended Iskatewizaagegan (Shoal Lake) #39 Independent First Nation ceremonies for the Elder. On the way to the ceremony he saw a bear sitting with purpose, calmly staring at him “as if to say ‘I was instructed by the Great Spirit to be of service to my two-legged sister’,” he said. Chief Day understood the bear was a spirit helper to Green, and noted she wore a headband with the picture of a bear on it and that a song to Mukwa (bear) was sung during her funeral. The late Elder also mentioned the bear spirit when she was interviewed for the 2012 book Sacred Ecology regarding how medicinal plant knowledge came to the Anishinaabe. “The way I started out learning about plants is my aunties, they used to take me out into the bush and show me what kind of plants we can use for medicine,” she said. “They used to tell me that I would be carrying on to the next generation. And it was so important for me to learn all of this. And to keep in mind which plants I’m supposed to pick. And there are some poisonous plants that I can’t touch. Besides acting as an advisor to Regional Chief Day, Green was well known for her work over the years in education, visiting public and Catholic schools in the area and passing on her wisdom. For 20 years she invited students to her yard for fall harvest, teaching them to cut and smoke wild meat. Green passed away on June 20 at the Lake of the Woods Hospital at the age of 71, surrounded by her family. “Our mother was strong and she surprised us by getting up and walking around after the quintuple bypass surgery she endured. But after this last surgery, she didn’t wake up, and we were heartbroken,” said Mandamin. Born in 1945, Green was like a mother to her younger sister Alice, while her parents Charlie and Gertrude were away hunting, trapping and fishing. Her brothers Robin Sr., Frank and Basil also helped to secure food for the family. Out on the land, Green was happiest. She was an expert shot with a pellet gun and slingshot, and loved to outdo her grandsons in partridge hunting, even in her later years. “She shared the teachings of the tikinaagan (cradleboard) and how to care for your newborn. She brought many children into the world as a midwife. She would be called and then go to wherever she was needed. Across Canada, she would travel to assist whomever needed her – to open ceremonies for meetings, workshops, trainings or name giving. “Closer to home, she was always assisting our chief and council and helped out in many of our community programs,” Mandamin said.